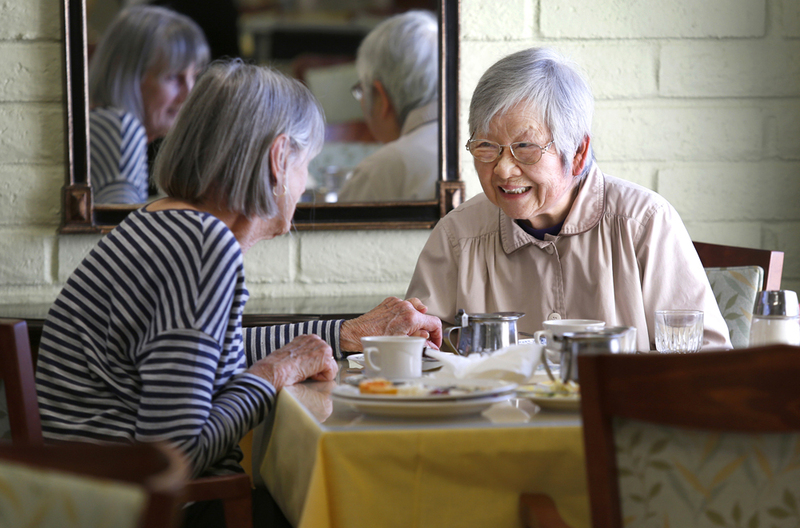 Nazareth House San Diego provides a comfortable setting where residents celebrate their accomplishments, meet new friends and continue to live at their own pace. This is ideal for residents who can care for themselves but who do not want to burden themselves or their families with the myriad tasks associated with maintaining a household. Delicious and nutritious meals are offered daily and housekeeping services are provided as requested. The gated community with its beautiful gardens offers secure and peaceful outdoor areas for walking, reading and meditating. A full range of life enrichment program is offered on campus. Daily Mass is offered in our peaceful chapel. Transportation is provided for shopping and entertainment excursions. Residents who choose to keep their own cars may park them on campus and come and go as they please.